Tata Teleservices (Maharashtra) Ltd, High Ground Enterprise Ltd, Gujarat Sidhee Cement Ltd and Metalyst Forgings Ltd are among the other gainers in the BSE's 'B' group today, 26 July 2018. 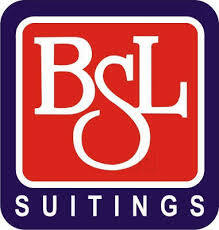 BSL Ltd surged 19.98% to Rs 53.75 at 12:02 IST. The stock was the biggest gainer in the BSE's 'B' group. On the BSE, 2881 shares were traded on the counter so far as against the average daily volumes of 2748 shares in the past one month. Tata Teleservices (Maharashtra) Ltd soared 11.67% to Rs 4.88. The stock was the second biggest gainer in 'B' group. On the BSE, 11.33 lakh shares were traded on the counter so far as against the average daily volumes of 1.31 lakh shares in the past one month.  High Ground Enterprise Ltd spiked 11.36% to Rs 15. The stock was the third biggest gainer in 'B' group. On the BSE, 49250 shares were traded on the counter so far as against the average daily volumes of 81730 shares in the past one month. Gujarat Sidhee Cement Ltd spurt 10.59% to Rs 30.8. The stock was the fourth biggest gainer in 'B' group. On the BSE, 1 lakh shares were traded on the counter so far as against the average daily volumes of 29067 shares in the past one month. Metalyst Forgings Ltd rose 9.99% to Rs 16.85. The stock was the fifth biggest gainer in 'B' group. On the BSE, 9595 shares were traded on the counter so far as against the average daily volumes of 4867 shares in the past one month.